One of AEPi’s newest chapters (just chartered earlier this year) is at Georgia Southern University, located in Statesboro, Georgia. While not a hotbed of Jewish life (Hillel’s official guide says that the student body is approximately one percent Jewish), the brothers of AEPi have already begun to make their mark on the Greek system and the campus community. And, Brother Richard Spector has been a big part of that. 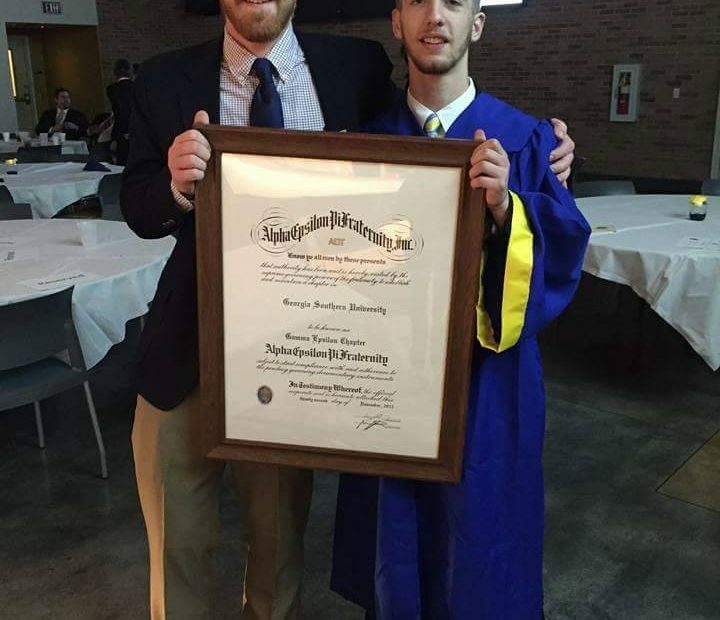 “I never thought I would be super active in AEPi, even as we were starting it, but I fell in love with it, became Sentinel and went to convention last year in Cleveland. After that experience, I came back to school pretty fired up and got elected Master,” said Spector, a senior from Alpharetta, Georgia who will be graduating in December. In the spring, AEPi at Georgia Southern was named a “Five Star” chapter by the campus’ administration. The Five Star Program measures chapters’ performance in five key areas of scholarship, public relations, campus involvement and education/social programming. Of the 22 fraternities and sororities on campus, only two chapters this year were awarded five stars.